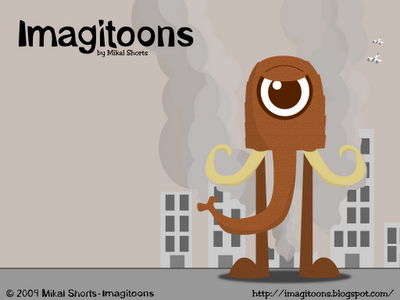 Imagitoons Design: Desktop: Cyclops Mammoth Monster!!! =8-o He's taken a bite out of my Java project! And he's go.bling .. t.e le.t.rs on .y .omm..t! M.ke ... st.p!